Join us at our upcoming Engineering Technologies tour. We'll start at the robotics lab, where our mechanical engineering students learn about automation design, control systems and robotics. Next, we'll tour the Founding Builders lab — one of our newest facilities at SAIT, used by the Civil Engineering Technology and Architectural Technologies students. We'll also visit the flow lab, one of nine labs used by students in the Instrumentation Engineering Technology program. 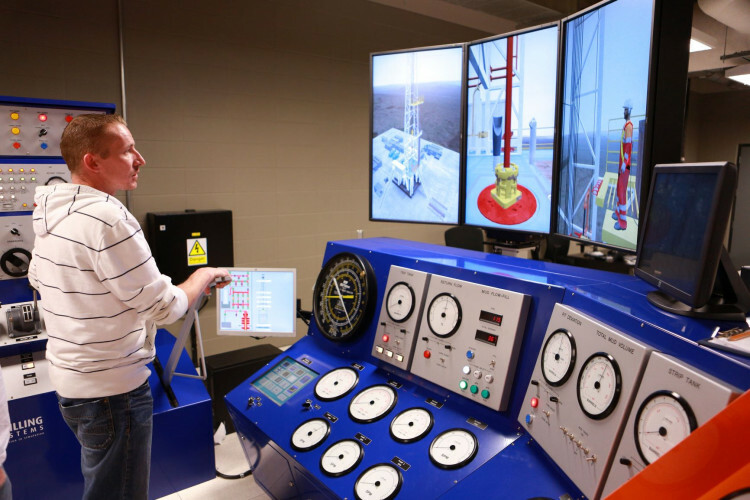 Our last stop will be the drilling simulator lab where Petroleum Engineering Technology students and corporate clients practice actual scenarios.